Wayanad District Tourism Top attractive places for visitors are given here. Wayanad is one of the best district that supports Kerala on the basis of tourism. This is considered to be 'the land of paddy field'. read this article to know about the top tourist places and some other fascinating facts of Wayanad. Wayanad district, 'the land of paddy field' or 'the abode of Kerala's tribal population' was established in 1st – November – 1980 by splitting some of the land from Kozhikode (Calicut) and Kannur (Canannore) and the district got its name as it completely comprises of vayal (paddy field) and Naad (Village). This hilly district is situated close to the mountain sahya in the south eastern part of Kerala. It is the least populated and the 12th district of Kerala. This district covers an area of 2,131sq.km with population of 816,558 numbers in total by 2011 census in which 401,314 are males and 415,244 are females. For every 1000 males there exist 1034 females. About 29,612 of the total population are living in cities while 751,007 are villagers and have an average literacy rate of 89.32 with 4.60% of growth rate. 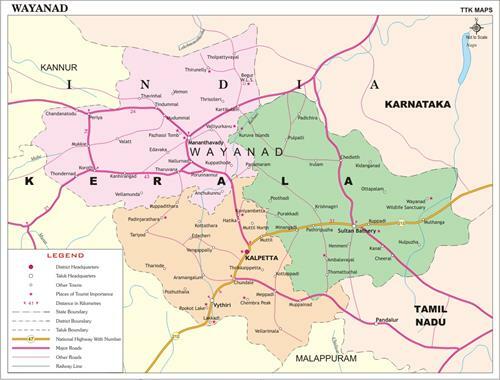 Around 1677sq.km of total land is covered with forest ie, 78.70% of Wayanad. Banasuramala and Brahmagiri are the major mountains while Kabani, Panamaram and Manandavadi are some of its important rivers. Railway lines are unavailable here. The district headquarters and the municipal town here is Kalpatta. Every year this hilly district receives up to 250cm of rain and has an altitude of 700 to 2100m. Wayanad is a beautiful place for tourism with dense vegetation covered immensely and has huge waterfalls that rush down deep into the valleys. Wayanad got its name as this place was completely filled with paddy fields and offers a climate to that of hilly terrain regions. It has become more than 3000 years of having inhabited forest areas and believed that there were settlements here for 10 centuries before Christ with great social interactions among each other. But the characteristic feature of this district is that it had a huge tribal population and they were under the control of the British, the Pazhasi Rajas of Kottayam and the tiger of Mysore – Tipu Sultan. There existed Bygone Civilization which resembles the writings and paintings on the walls of Ampukuthimala caves. Tipu signed a treaty of Srirangapatna with colonial administrator and their army officers. Then there arose a huge battle between 'the Pazhassi Raja' of Kottayam and the British men. The British army could only find a dead body of Rajah who was forced to move into the wilderness of this district. They established their power when 'Pazhassi raja's tribal guerilla warfare' was dropped down by 'Lord Arthur Wellesley'. Their main aim was to spread their power all over the country and was not bothered of the settlers here. At first after the departure of British men, some parts from north and south of Wayanad was under the territory of Cannanore and Calicut districts, but later it was separated and formed a new district with three taluks. In 1973, the district planted its first wildlife park with dense vegetation and wildlife. 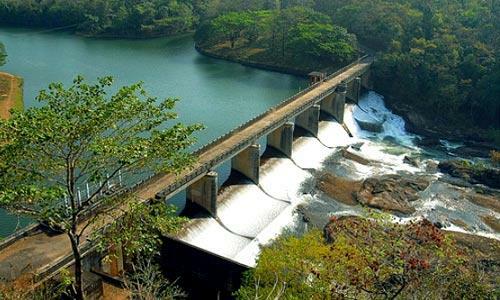 Banasura Sagar Dam is the largest earthern dam in India situated near Padinharathara about 18km from Kalpatta is a great spot for picnic. It is the second largest dam in Asia and is considered to be one of the best attractions of the tourists with wide ranges of panoramic views. Banasura Hill Resorts are the ideal place for the visitors to relax and enjoy side seeing. The tourists will let to enjoy its beauty by taking them for a ride in a power boat which covers all the areas across the small islands nearby. This is a perfect place for all nature lovers to enjoy their vacation. This waterfall is about 12km from Sulthan Bathery and is adjacent to the pulappally main road. There is no railway available but it is possible to take vehicle here. This is a wonderful location having endless natural beauty and wide ranges of vegetation. The tourists are advised to visit here during the day times of the months of September to February as it is the perfect time to view many beautiful birds, colourful butterflies, rare leaches, and other fascinating animals wandering around. The visitors will have great experience when they do trekking to Chethalayam falls. Sulthan Bathery, formerly known as 'Ganapathy Vattam' which aws the army headquarters of Tipu Sulthan. Tipu used the Jain Temple as his battery and thus it was also called as 'Sulthan's Battery'. It is situated about 96km from Calicut by crossing thick forests, tea estates, coffee, oranges, other plantations and even want to climb up hills. The historical department has found the remaining of Jainabasthi which is believed as the first remains excavated from Wayanad. The Sulthan Battery is now a health resort for the welfare of humans. It is a bird watching centre located 7km northeast of Thirunelli and is 66km from Kalpetta, the headquarters of the district. Visitors can enjoy trekking to this place tourists are more attracted to see the ancient caves here were the saints used to meditate for long period. Different species of birds are roaming all over the tower watching the bird lovers coming in search of them. 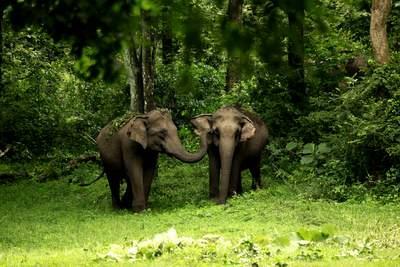 Wayanad Wildlife Sanctuary which was established in 1973 is also named as 'Muthanga Wildlife Sanctuary'. It is a place that preserves all range of wild animals situated along the Mysore – Sulthan Bathery route. It covers around 344sq.km of land with rich biological atmosphere. It is the second largest wildlife sanctuary in Kerala and has many endangered organisms. A herd of elephants can be seen all around the place which is a great site for taking a click. Other animals like deer, wild cats, tigers, bears, snakes, monkeys can also be seen. This is the temple of mother goddess Durga which is situated 8km east of Mananthavady. Most of the devotees here are from the tribal communities of Wayanad and they conduct 'Valliyoor Kavu festival' every year for two weeks between the months from February to April. History tells us that 'adivasis' were sold in this festival to high class people as slaves. Thousands and thousands of devotees take part in this festival. Various festivals can also be seen during this season. Rather than these there are lots of other places for the tourists like Ambukutty Hills and Edakal Caves, Chembra peak, Gundalur, Lakkidi, Nagarhole Wildlife Sanctuary, Papanasini River, Pulappally Cave, Pookotta Lake, Thirunelly, Vyitiri, Glass Temple of Kottumunde and many more. Visitors will have great memories when they come across to face the fascinating experiences in Wayanad.